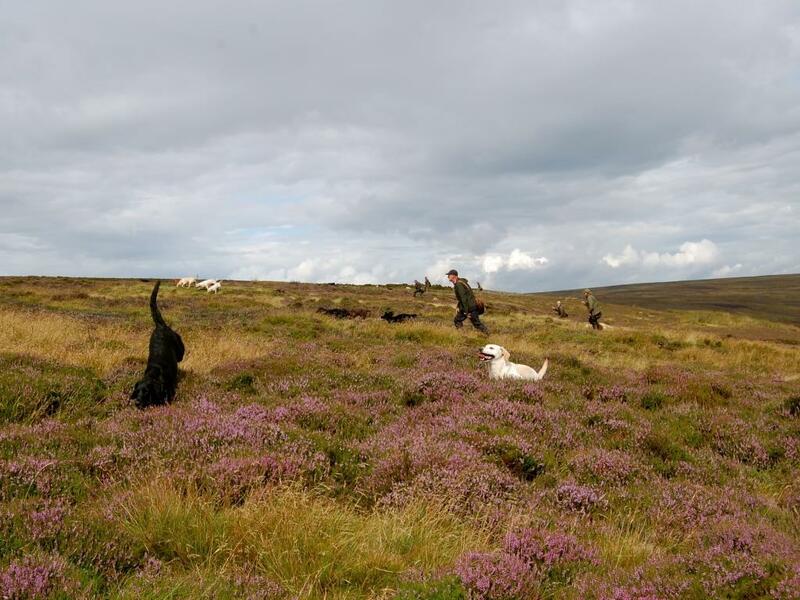 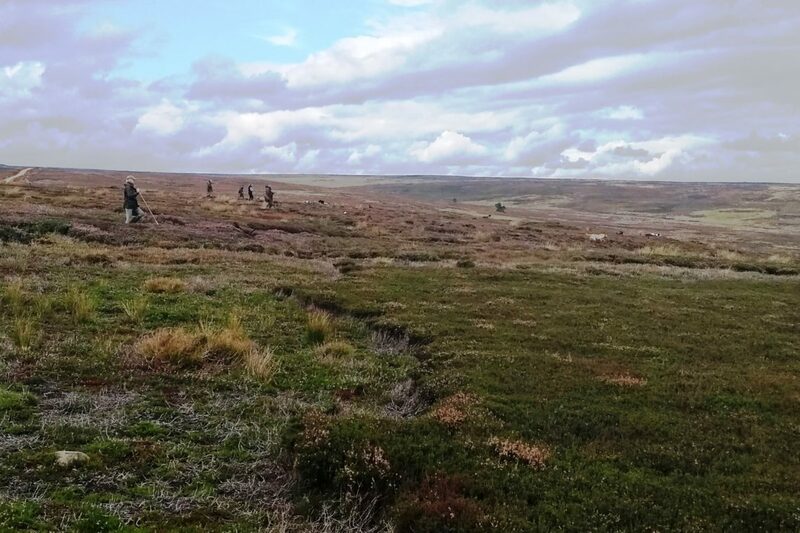 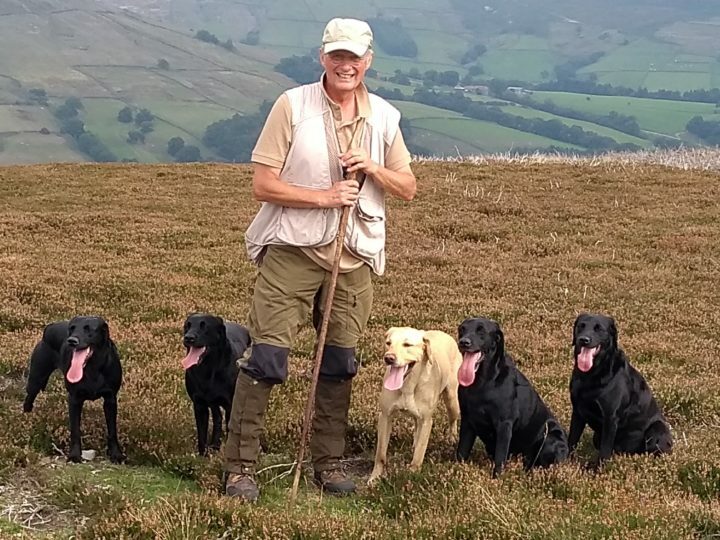 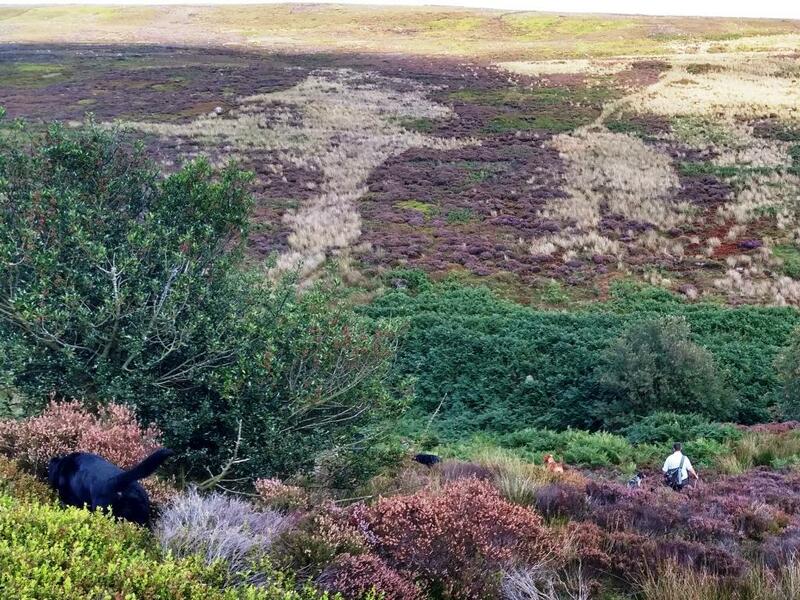 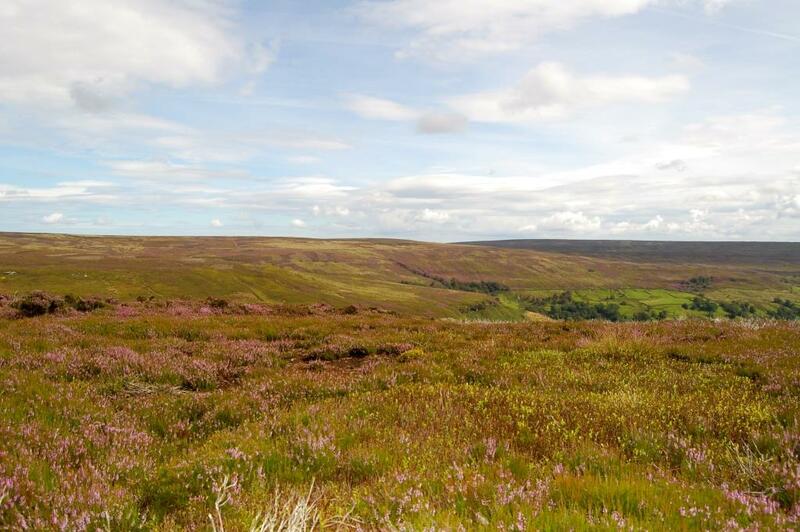 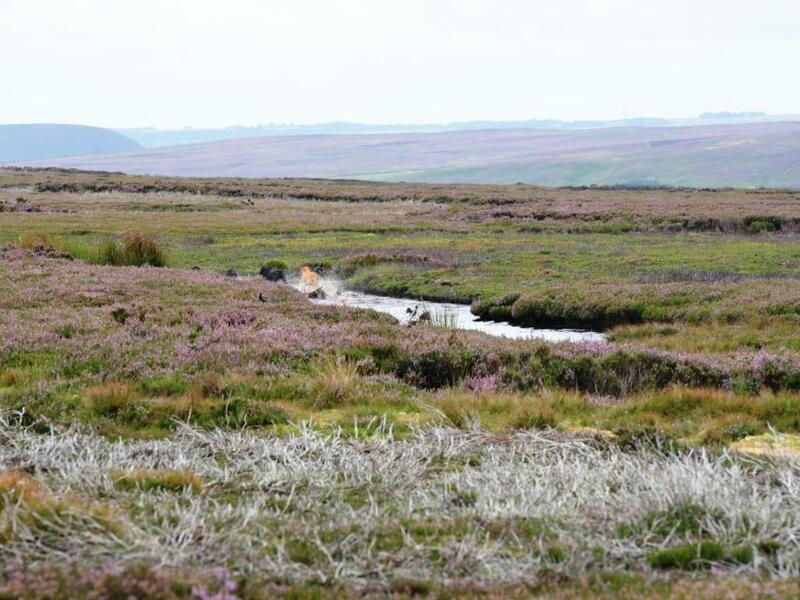 18'000 acres belong to the Bransdale grouse shooting estate. 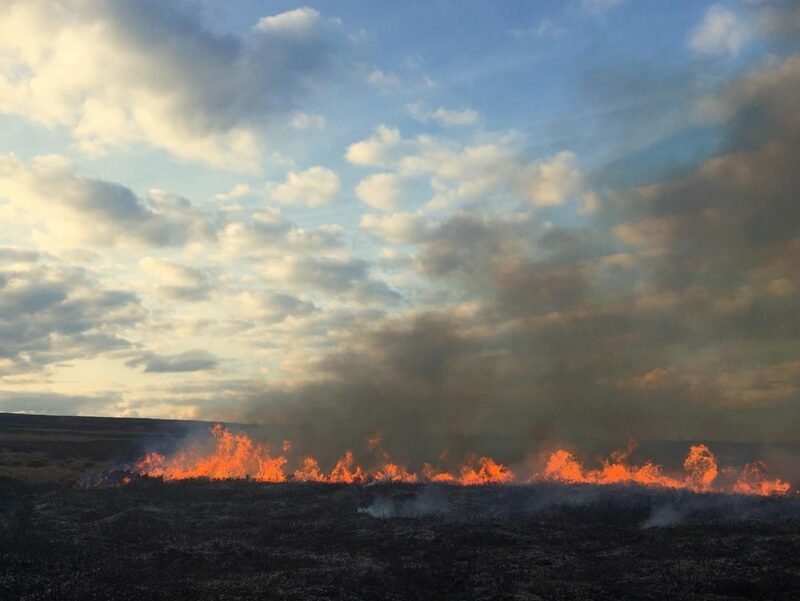 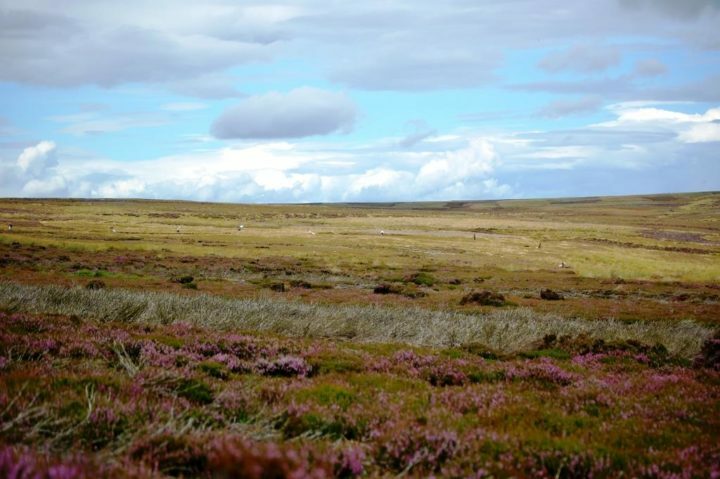 Thanks to the management of its moorland (incl. spraying of bracken) big areas of heather have been regenerated and recovered in the last 10 years and has also helped provide a source of food and protection for grouse. 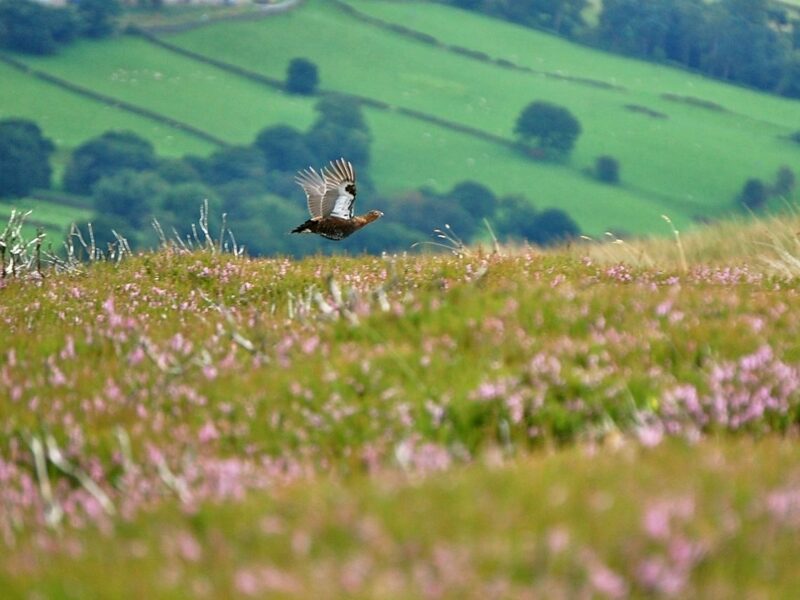 In this lovely countryside grouse have come along very well this year. 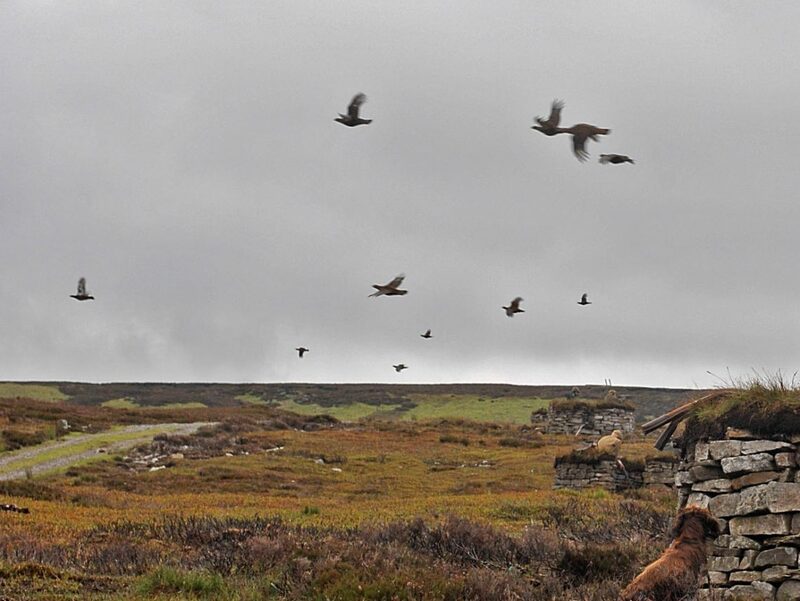 Unlike pheasant and partridge, grouse are also completely wild and it is not possible to maintain or increase its population by rearing or releasing birds. 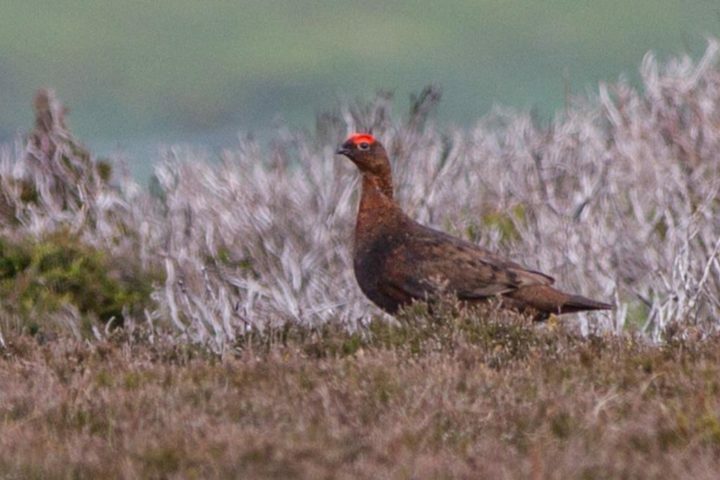 The grouse - a bird that cannot be reared. By the way the grouse have a very special call like "goback-goback-goback"!! 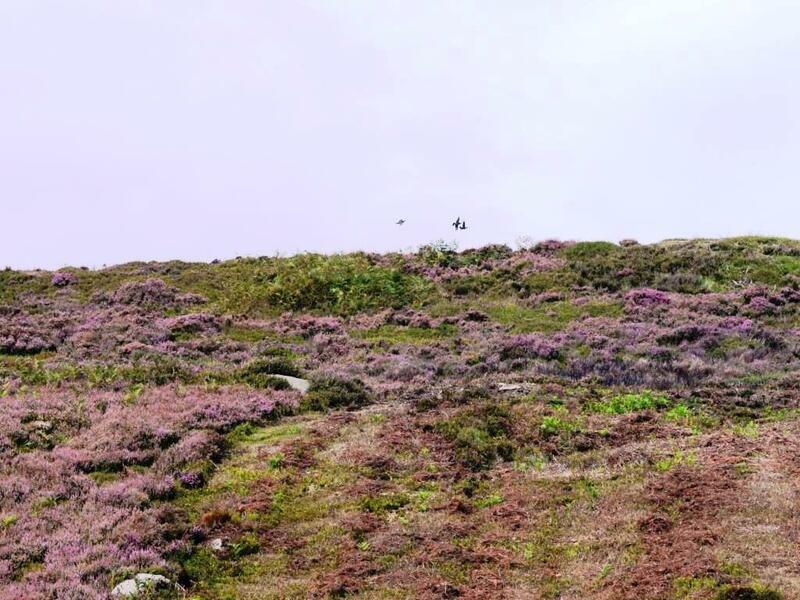 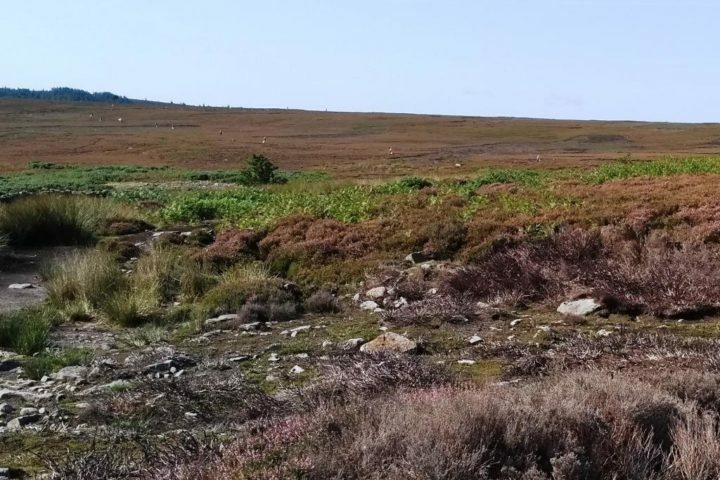 … so that new young heather can grow back with fresh young shoots for the grouse to eat, but still leaving plenty of old heather for them to nest in. 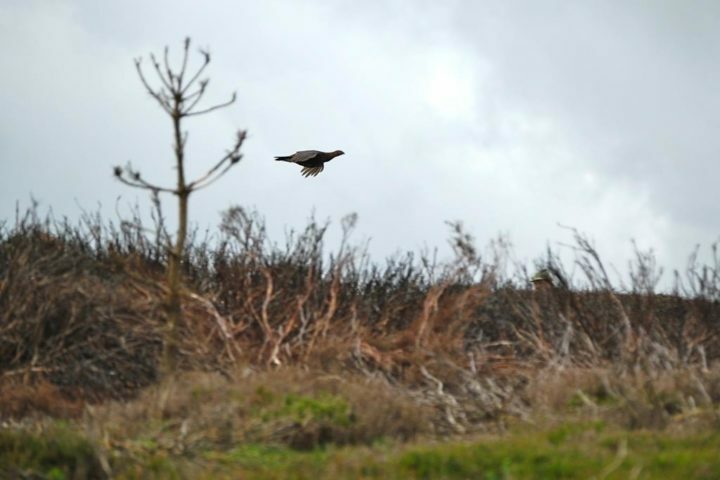 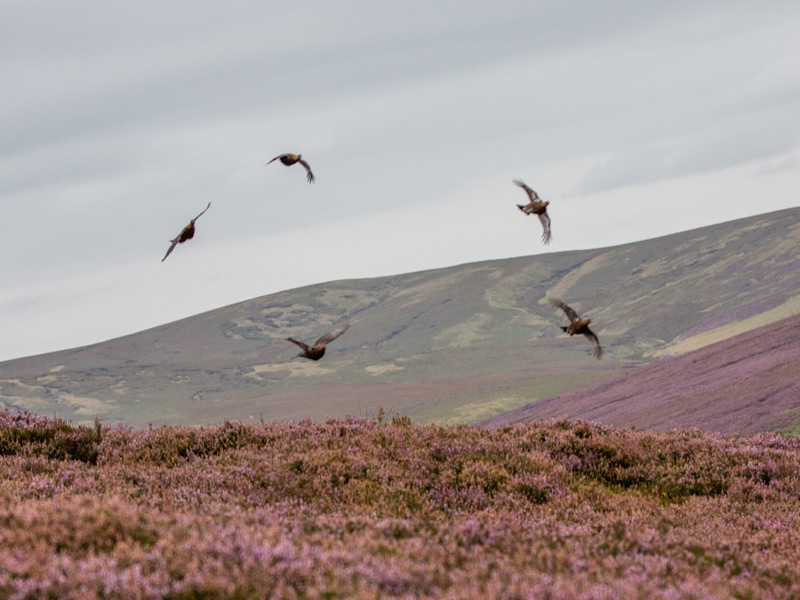 It is not easy for the guns to hit the grouse because they fly quite low in a curve and very fast. During the drives (about 5 a day) the dogs are waiting in the cars until it is their turn. 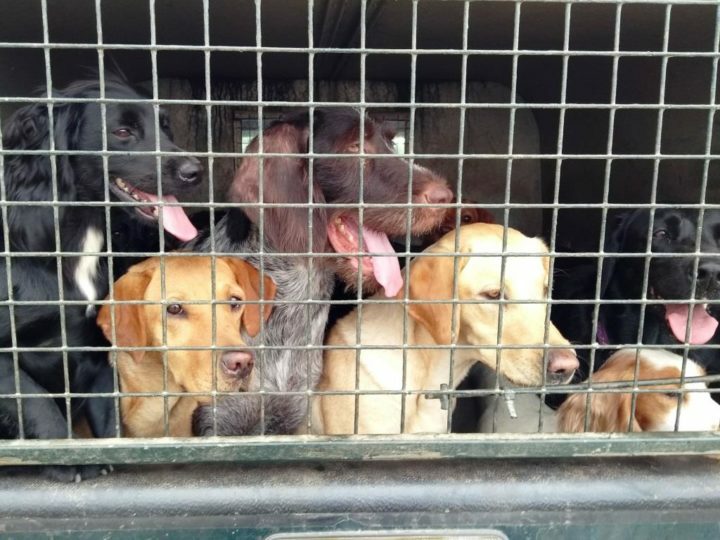 Just have a look at the different breeds: Cocker and Springer Spaniels, Wirehair, Shorthair and Labradors! 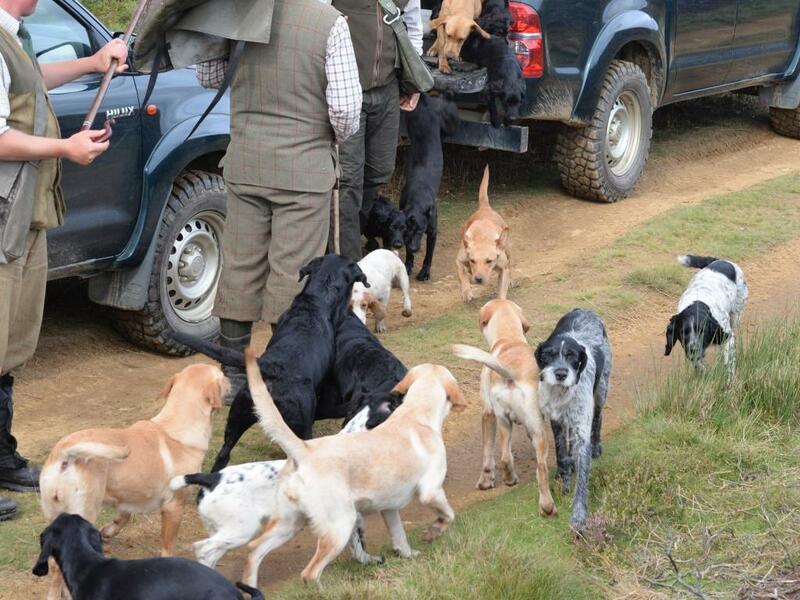 After every drive all pickingup-dogs together hunt the whole area systematically. …for dogs as well as for handlers! ...; management without which grouse and its habitat would be lost.